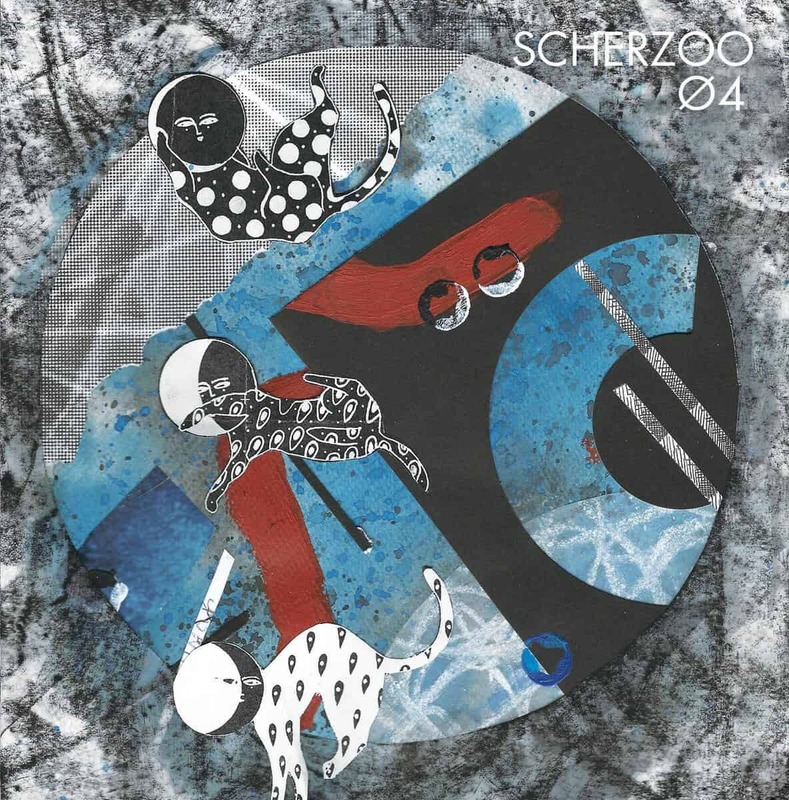 French entity Scherzoo is no newcomer to the prog scene, as you might have deduced by looking at the album name—04—referring to it being their fourth. The mastermind behind it, François Thollot, also released music under his own name, but is here joined by Clément Curaudeau of Süryabonali, Grégoire Plancher, and Anthony Pontet. 04 is one the latest release under the legendary Soleil Zeuhl label. So, let’s take a look at it! In under forty-five minutes, François and Scherzoo take us to the land of progressive rock. 04 being an instrumental release, it has to compensate elsewhere. While it sounds relatively barren and minimalistic by zeuhl standards, the album is strong on the evocative aspect. Even if the songs don’t throw you off of your chair with constant changes or overly bombastic passages, it gently asks that you sit down and listen for a while. The compositions are well-designed so that the music speaks for itself, and the various languages it speaks takes you to various vistas across the globe. As their label puts it, the album is not so much zeuhl as it is a nice take on the Canterbury scene of the seventies, with distorted organ and odd-metred bars. Scherzoo’s latest is a good deal of fun: with retro vibes and colourful atmospheres, it makes for a decent listening experience. Don’t expect it to blow in your face like an explosive zeuhl band, this one is more subtle and slowly burns instead. You can listen to two songs on Bandcamp, and acquire it in a variety of places.